The Aspen mini aqua condensate pump is one of the most popular pumps for removing condensate water from air conditioning indoor units. 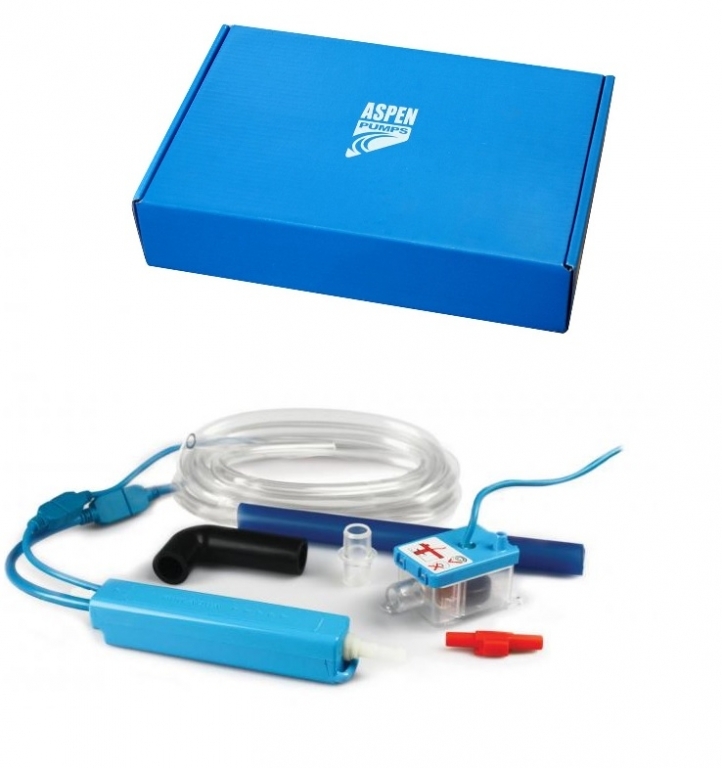 The Aspen mini aqua condensate pump model FP2406/2 consists of a reservoir and pump with all additional items to install the pump. The reservoir fits into the back of the indoor unit with the slime line pump assembly itself generally being fitted into trunking. You can find full details on the aspen mini aqua condensate pump in the brochure below.